Click on any of the smaller scans below to open a new browser window containing a larger ( around 100 - 140 K ) version. 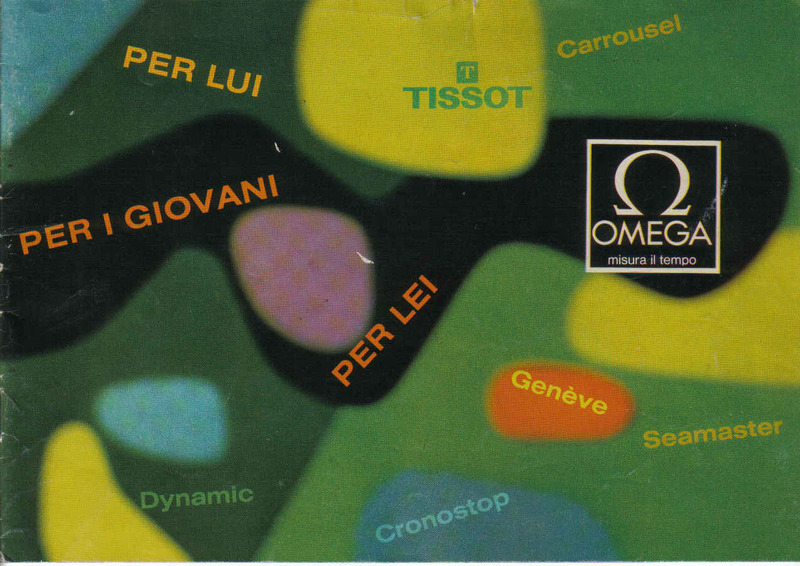 Gino Balbi owns this catalogue. He sent me the larger scans below. I would like to personally, and on behalf of the Omega collector/fan community, thank Gino. THANK YOU ! 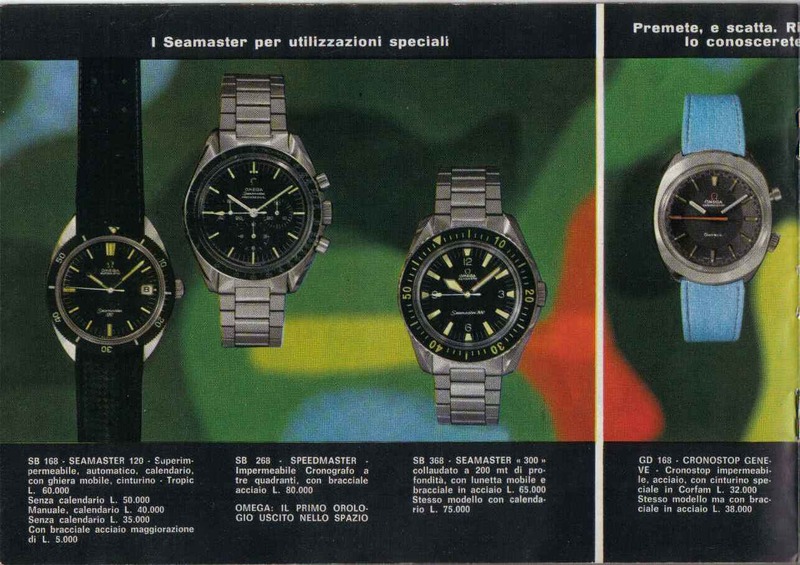 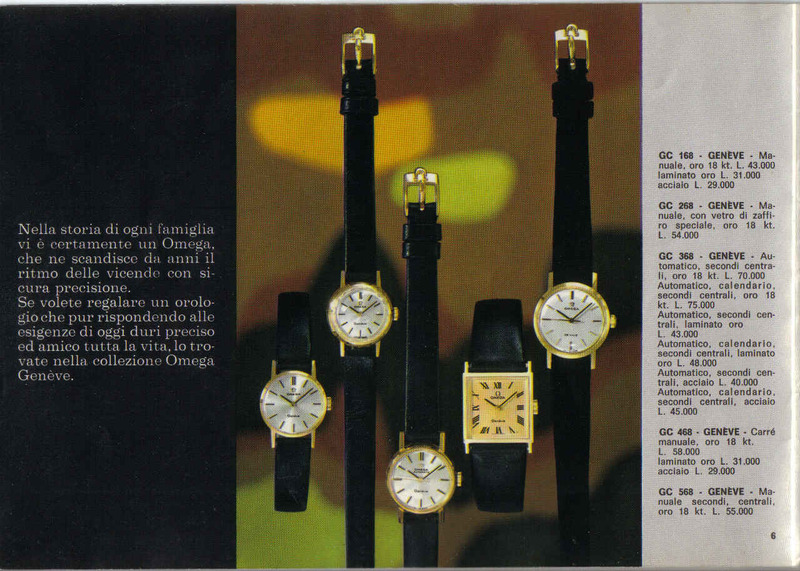 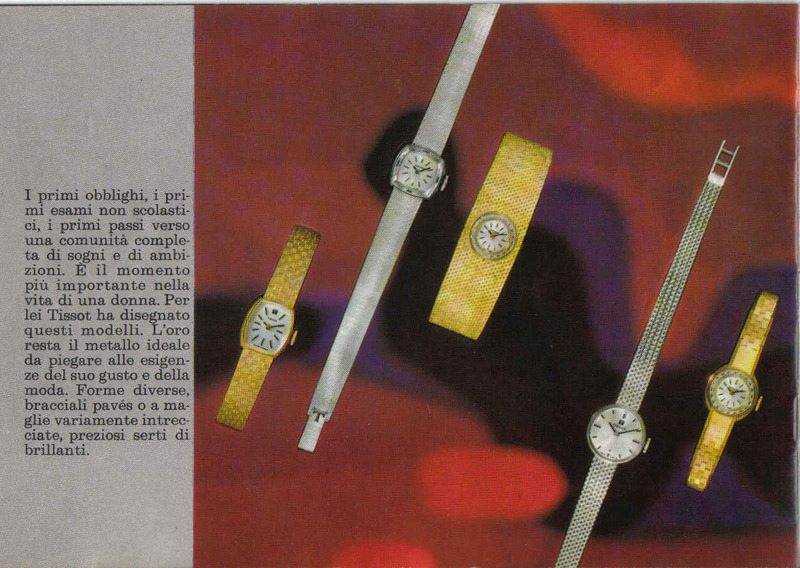 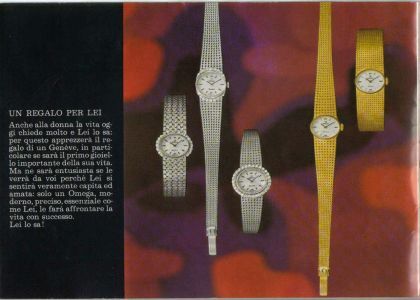 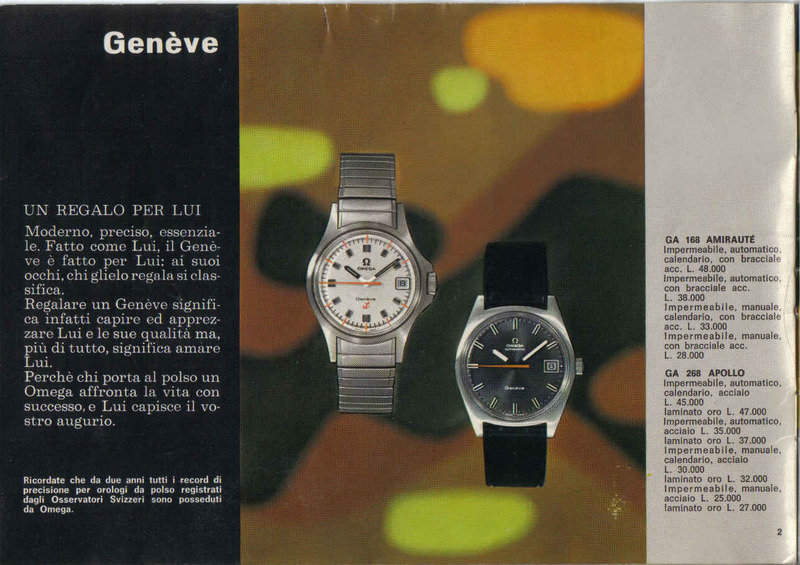 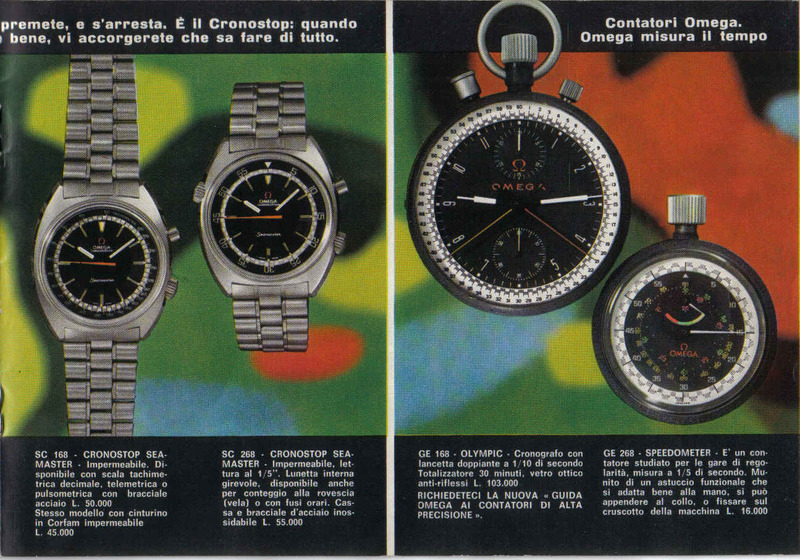 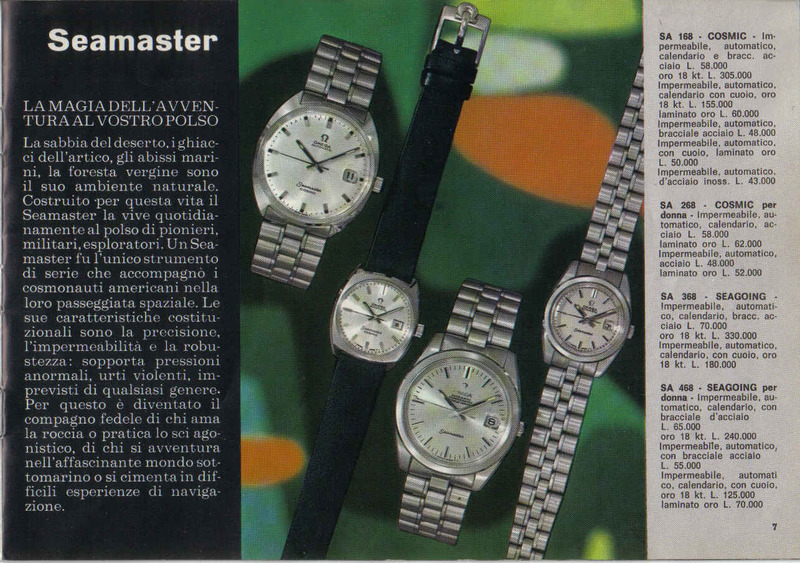 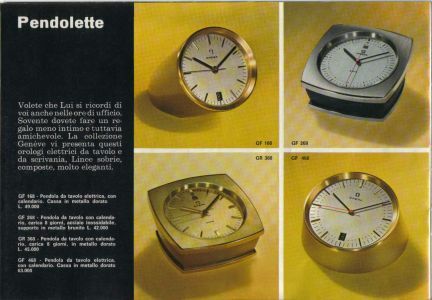 The Catalogue is dated 1968 & all prices are in Italian Lira. 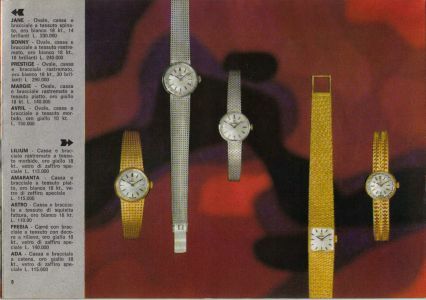 This time I have shown all the pages. 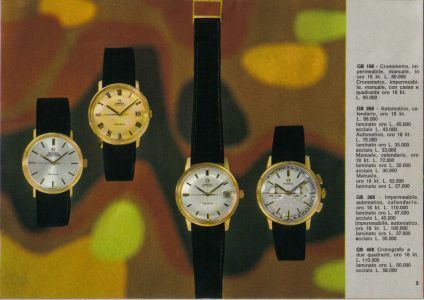 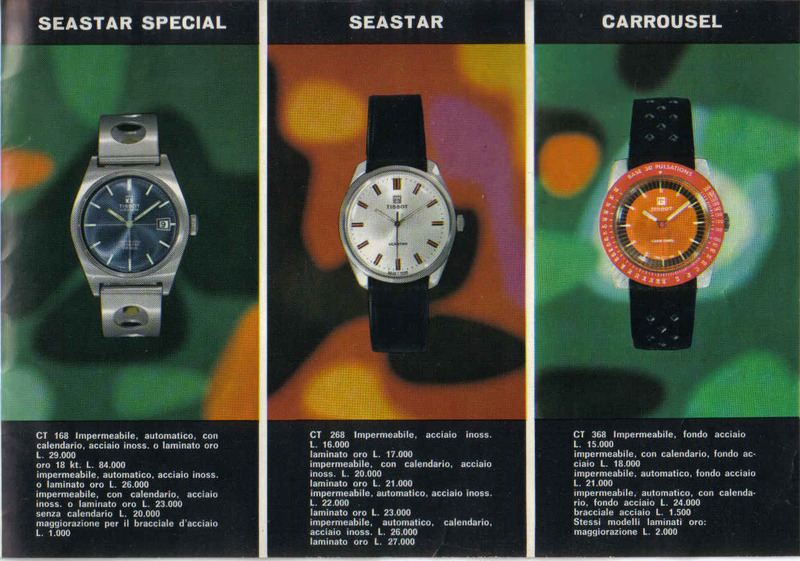 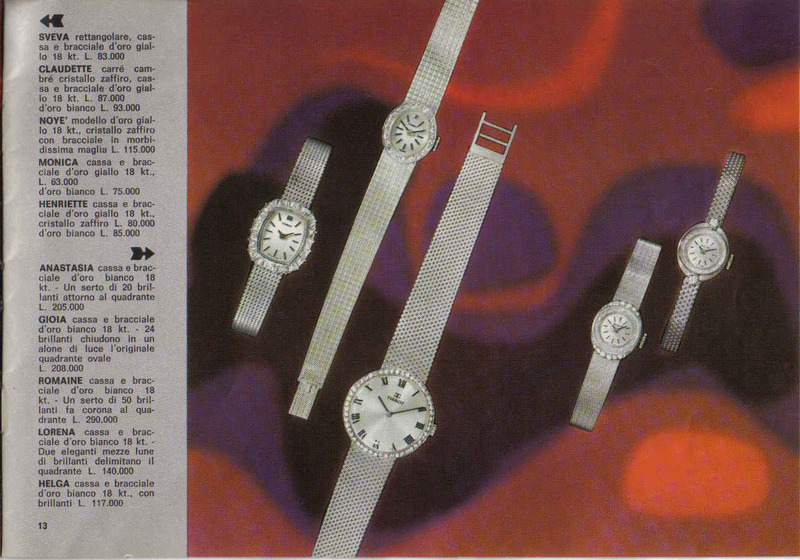 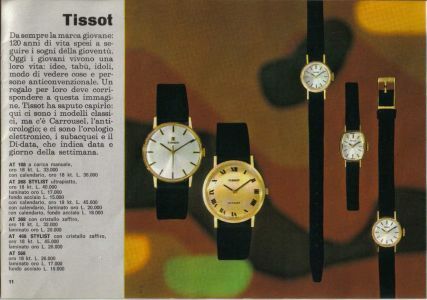 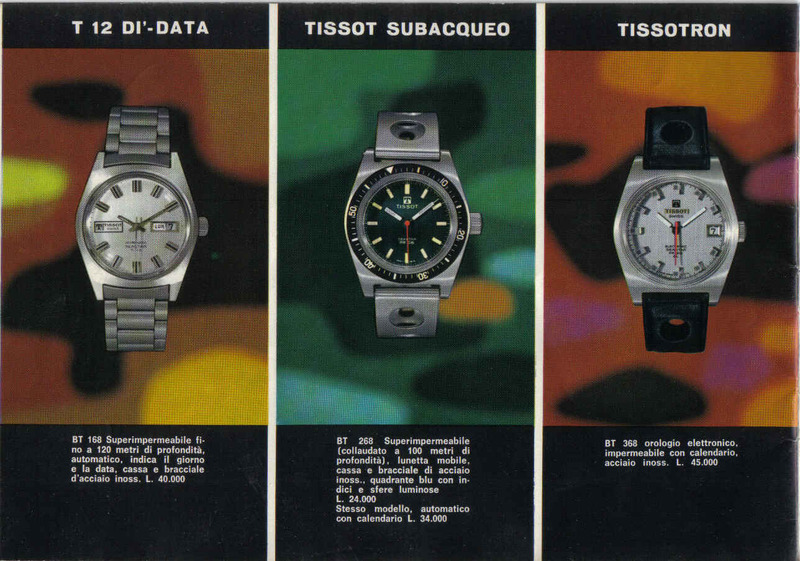 Check out the Tissot's from page 11 onwards ! - So now there's no disputing how close these 2 firms were. 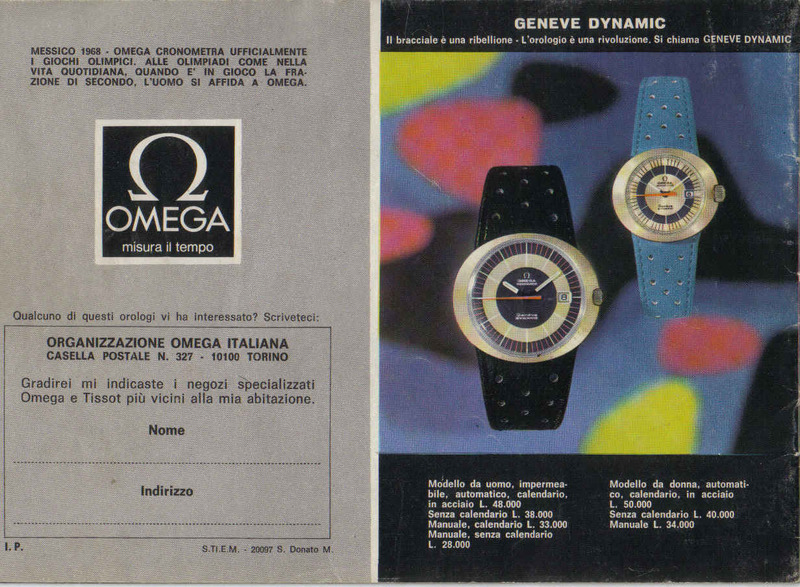 Check out the Omega Chronograph in the bottom left corner of page 3. Even though it was printed a year before man walked on the moon,the future of speedmaster advertising is clear. The text in capitals under the Speedmaster says "The first watch used in space"